For those of us who hate everyone, elevators are a nightmare. They’re the public transit of office buildings. You need them to get around, but you’re forced to put up with offensive odors and incessant chit chat about Kelly’s bridal shower. Until individual use elevators arrive, here is a guide to proper elevator etiquette when you hate everyone. This is one of the best habits for exercising mindfulness (right up there next to meditation). When pressing the close button becomes second nature, you will be rewarded with solitude and freedom. Go ahead and hit the button a few more times. 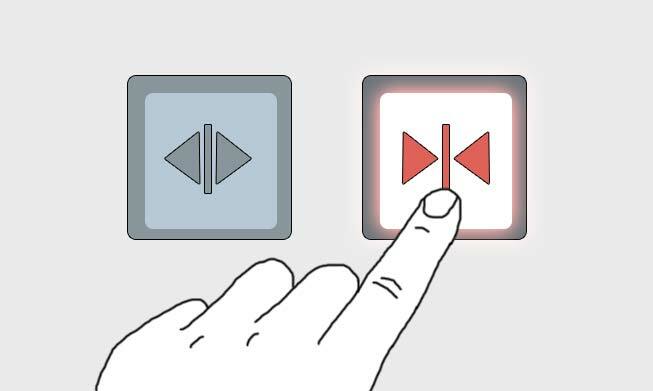 Though you know the close doors button doesn’t actually do anything, it’ll at least reassure us a tiny bit that you just might actually have a slight grasp of control over your lives. If someone else enters the elevator, panic momentarily before smiling while silently cursing them. As you’re nodding and listening to them gab about their weekend trip out of the city, ask yourself what possible circumstances must’ve occurred for them to join your elevator instead of waiting for the next available empty car, like a sane person. Mentally note the time so you know when to avoid them in the future. This astute observation is one that, while many elevator patrons have noticed, few have failed to verbalize or articulate. Beating them to the punch with a well-timed and highly relatable “you’d think there would be more elevators!” will win over their trust, every time, guaranteed. To achieve maximum effect, deliver this line less as an amusement for other passengers, but rather as a thinly veiled plea to the building manager to rectify your crowded elevator issue. Moving to the front of the elevator will demonstrate to your peers that you are an alpha employee, especially if your stop is last. By signaling your high status, if any conversation does occur, it must be important to demand your attention. Lastly, keep facing forward, because—let’s be honest—the back of your head will be a better converationalist than you will ever be. You might be tempted to take your backpack off or put your bag on the floor so other people can fit. This is a nervous reflex in the hopes that those people will like you more. Here’s a secret: they won’t. They won’t remember any of your kindnesses. So just stand there taking up as much room as you deserve and don’t feel bad about it. You had to push your own button, so should they. Nothing is a stronger power move than keeping everybody on their toes by leaving abruptly, hiding in the bathroom, taking the stairs, and going straight home at the slightest sign of resistance. This not only demonstrates complete disregard for social norms, but also gives the perception that you’re in full control of your fate. Just hope that you don’t see any of your co-workers in the lobby on your way out. Andy Jiang is a writer living in the San Francisco. When he isn't trolling his co-workers by taking 1-on-1's in the bathroom, he can be found stealing wifi at cafes.